Once you hit the spend values, you’ll see a ‘Claim Free Product’ button at checkout where you can choose the size of your Lucky Dip item. 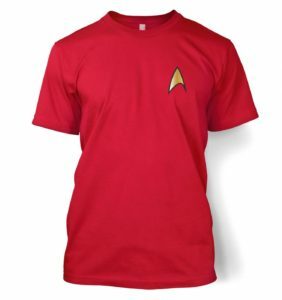 Once we get your order, a design will be picked at random for the appropriate garment and will be sent with your order! So it’s as simple as that! Of course if you have any questions feel free to get in touch via the Contact form on the homepage, or message us on Facebook! Important T&Cs for our Winter Sale! It’s nearly time to say goodbye to the festive period, but that doesn’t mean it’s time to say goodbye to great deals! Maybe you got some cash in your Christmas cards, or you’re enjoying an extra large pay packet after an overtime-filled December – either way, our Winter Sale will make sure your money goes further! We’re running a 3 for 2* offer across the site, including all of our latest designs and products. 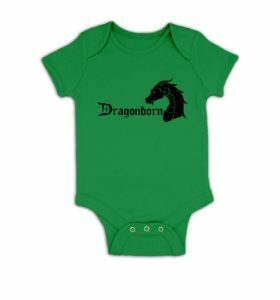 Unfortunately this doesn’t include our Adult Onesies or items marked with an Official banner, however we are giving you 15% off these instead! Christmas Giveaway Update – New Freebie! 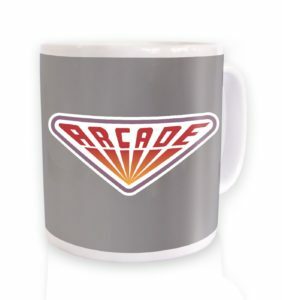 As you may know, we’re treating you guys to some freebies on orders of £30 or more this Christmas. 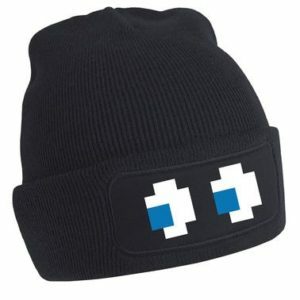 Up to now, we’ve been giving away a free Beanie as the first stage freebie, but you guys have qualified for so many that we’ve run out of stock! 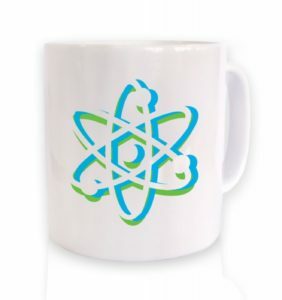 Of course we aren’t going to leave you freebie-less, so instead we’re giving you a choice of mugs. You can choose from any of the four below at checkout – now you just need to decide which is your favourite! 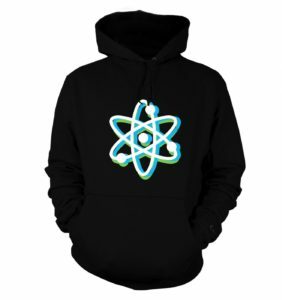 If you’re stuck for what to buy, check out our Latest Products! Christmas Freebies When You Spend £30 Or More! Seeing as it’s the season of giving, we wanted to give back to all of our amazing customers by giving you a little extra something in your basket this Christmas! We’ve picked six designs to give away on our Beanie, Standard T-shirt, and Standard Hoodie – how much you spend determines how much free stuff you get. 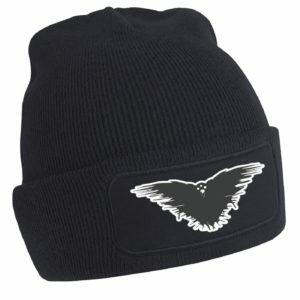 Spends of £30 and over get you a free beanie, £65 & over gets you a free beanie and t-shirt, and £100 & over gets you a free beanie, t-shirt, and hoodie. You can choose from any of the designs below for each garment. It’s simple – add the items you want to buy to your basket, then at checkout you’ll get to choose which design and size garment you’d like to receive. 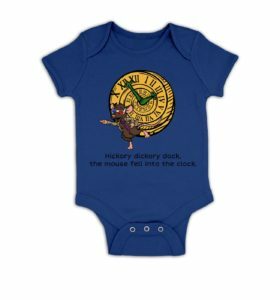 You may have noticed a new addition to our product range over the last few months, which is perfect if you yourself have recently welcomed a new addition to your family! 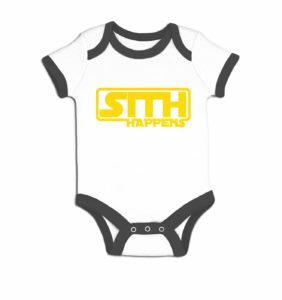 You can now make sure your little one is dressed in their geeky best in our new Baby Grows, which are available in a range of colours and ages, from birth to 18-24 months*. 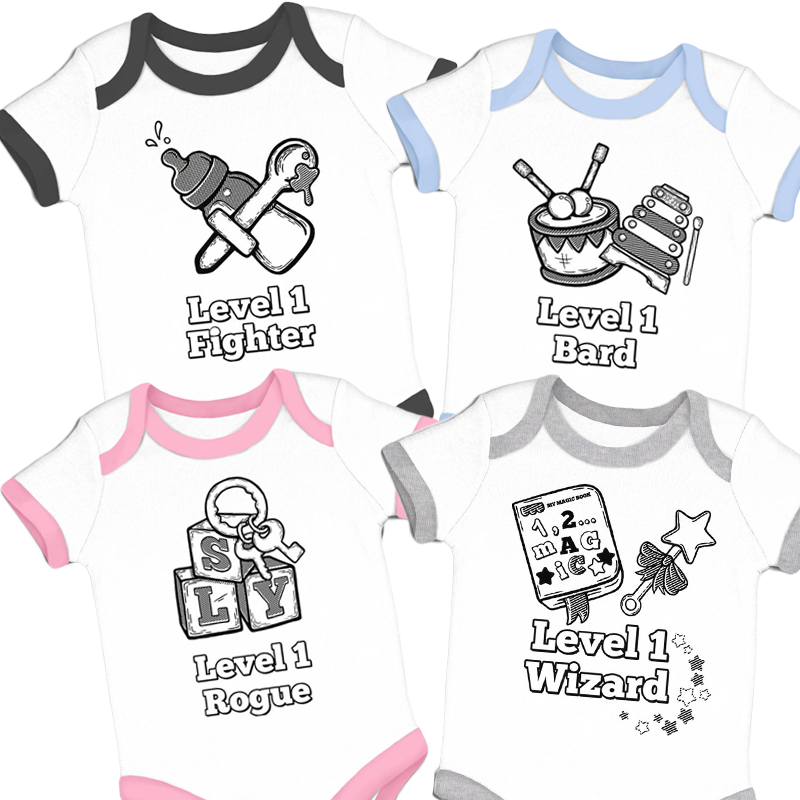 …and of course we couldn’t forget the future RPGers! Our baby grows also make great gifts for geeky parents-to-be, so if any of your friends are expecting – we’ve got you covered! 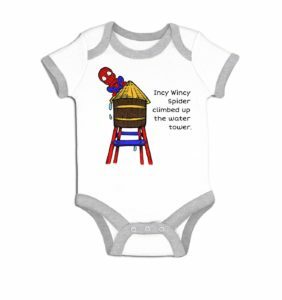 We’ll be adding to our Baby Grow category over the coming months, but for now you can see the full current range here! *Contrast Trim baby grows are only available in 0-3m, 3-6m, and 6-12m. Game Of Thrones Season 7 Winter Is Here!!! Winter is most certainly here and if the Season 7 opening episode showed us anything it is that Westeros is in serious danger. 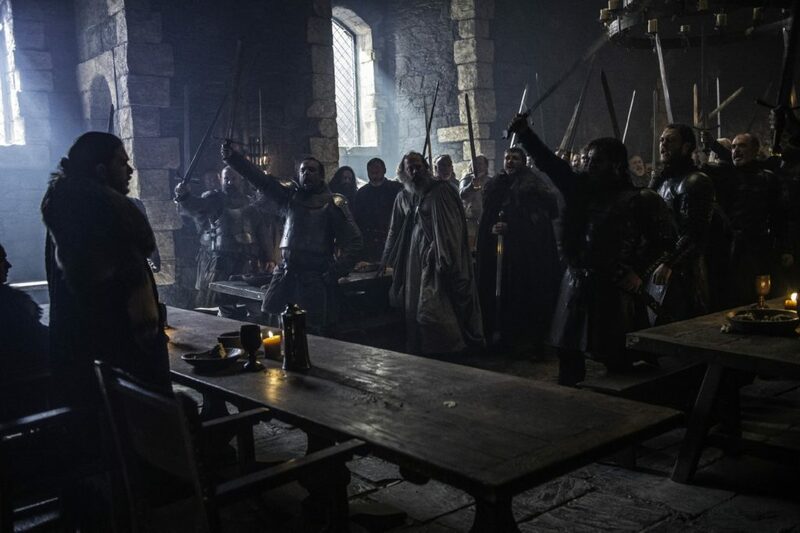 We started the new season with Arya Stark finally exacting her revenge against the remaining Frey’s for the deaths of her family at the Red Wedding. In what seemed a fitting end she poisoned all of Frey’s men with flagons of poisoned wine. Elsewhere we get a shot of a deserted barren ice land which can only mean one thing you guessed it White Walkers. 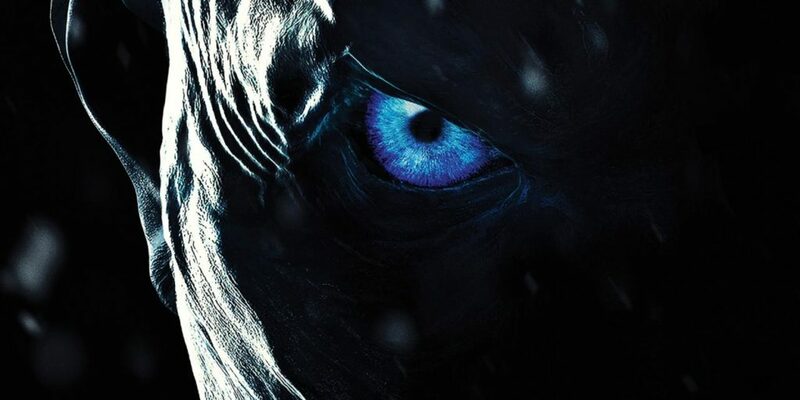 Led by the nightmare that is the Night King, we witness his army continuing to march towards the wall and discover that he also possesses the power of White Walker giants. This spells nothing but bad news for all the inhabitants of Westeros. 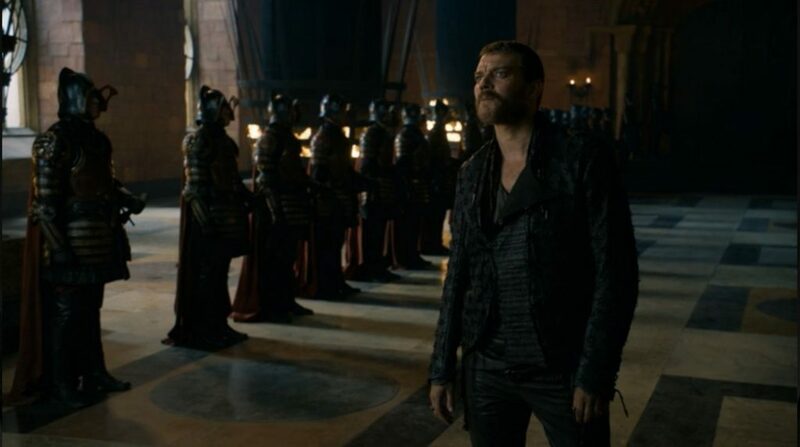 We also see an appearance from the dastardly Euron Greyjoy who Cersei is trying to recruit in order to boost there dwindling number. Little does she know Euron is looking for the hand of a queen in marriage, his proposal however is declined and Cersei questions his loyalty. He responds to this by promising Cersei a wonderful gift and leaving, he is clearly looking to deliver her something big maybe in the form of Tyrion’s head. We see Jon assembling forces in the north and stressing that dragon glass is now more important than gold, he informs his troops that they must find as much as is humanly possible so that they are ready for when the White Walkers attack. At this point Sansa also makes him acutely aware that in focusing all his efforts on the undead army to the north he has forgotten about his very real enemy in the south. A point not lost on the former Lord Commander who is all to aware of the threat of Cersei Lannister. Overall the pacing to this episode felt really good and we are starting to see how all the pieces on the chessboard are lining up for the war to come. With Arya having dealt with the Frey’s she now has Cersei dead in her sights, however she has plans of her own with the recruitment of Euron Greyjoy and his fleet. 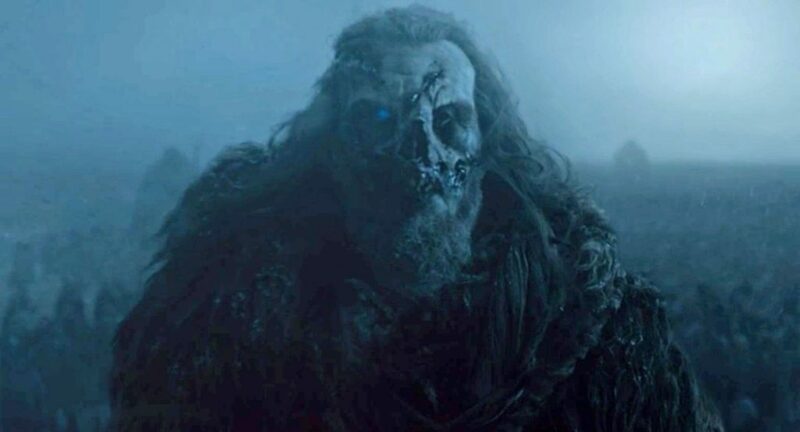 The White Walker assault on the wall appears to be ever closer with the army of the dead growing bigger by the day. With Daenerys now landing in Dragonstone her birthplace, the wheels are in motion for her invasion of Kings Landing and Jon is amassing all the forces available to him and collecting dragon glass ready for the White Walker invasion. This all points to an enthralling season ahead with twists and turns aplenty in the battle for the Iron Throne. During the course of Game Of Thrones Season 7 we will be releasing a new design each week starting with our Winter Came For House Frey design. 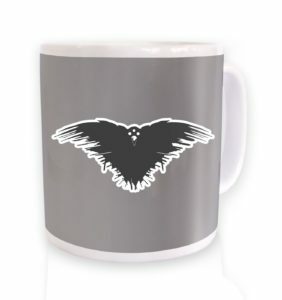 You can also access our whole range of Game Of Thrones merchandise here. So the Tournament of Power has begun and it has been going at a break neck pace that will become more action packed the further we get into this arc. We have already had a couple of casualties from two universes taking part and we are only a minute in, so let’s take a look into what has happened so far. As mentioned, we have had our first two competitors eliminated from the tournament. 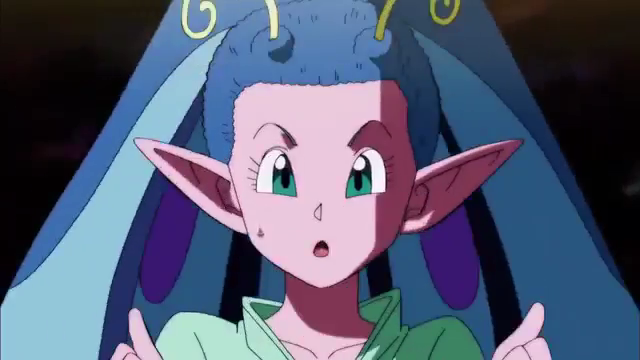 We have lost Lilibeu from Universe 10 an expert in aerial combat and aura control, but a character who loses her concentration easily, she was overwhelmed by a pair of Shining Blaster attacks from Basil of Universe 9 and became the first fighter to be eliminated. 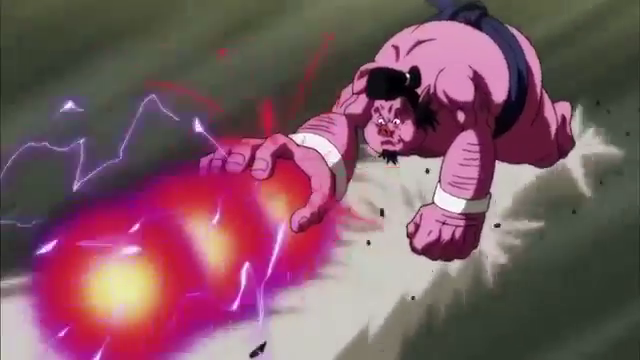 We then saw Universe 4’s Nink eliminated from the tournament in emphatic style when he went up against Goku. He seemed to hold his own against Goku in his base form, holding the saiyan in a bear hug and taking a few punches to the face. However once he dragged Goku towards the edge of the ring Goku powered up to Super Saiyan Blue and easily eliminated Nink, knocking him out of the ring with just his energy much to the annoyance of Universe 4’s God Of Destruction Quitela. The plan Gohan has come up with for Universe 7 before the tournament seems to have been scrapped for at least half of the team. As once the tournament starts Goku, Vegeta ,Android 17 ,Android 18 and Frieza all abandon the plan and fly off to fight there own battles almost ending in Goku’s early elimination. The rest of Universe 7 are surrounded by fighters from other universes and stick to Gohan’s plan of protecting each others backs. 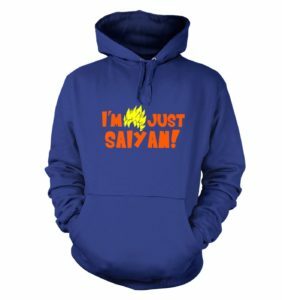 Despite this even a barrage of attacks from Gohan, Piccolo, Krillin, Tien and Master Roshi, are not enough to move the enemy. The remaining Universe 7 fighters are still surrounded and our heroes appear to be in deep trouble. 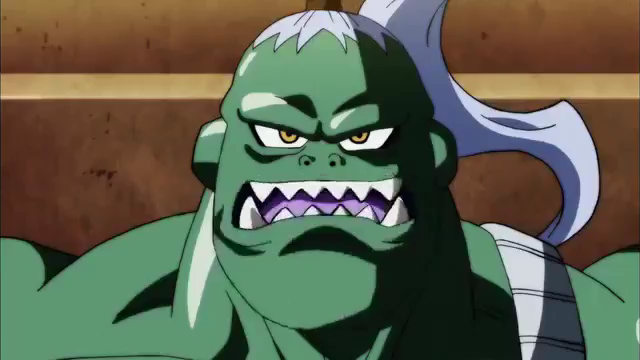 In conclusion I thought this was a really good opening to the Tournament of Power and this first clash of the eight universe’s taking part has surely whetted the appetite for the furious action to follow. 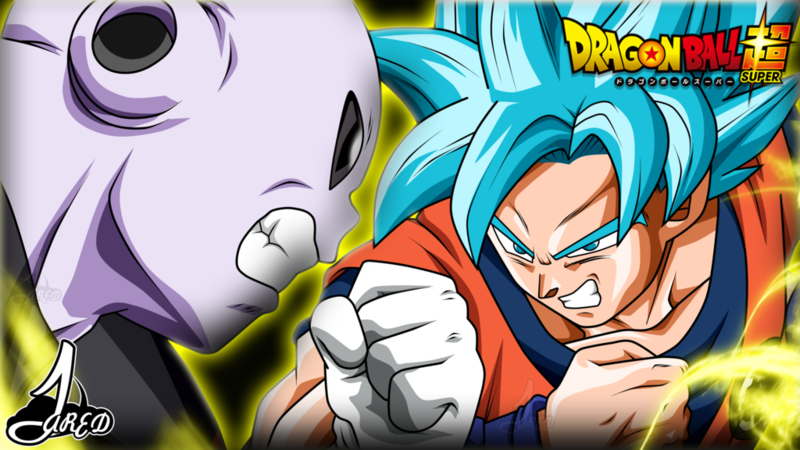 It is already showing what a struggle it is going to be for Universe 7 to emerge victorious but it is going to be incredible to watch it all unfold. 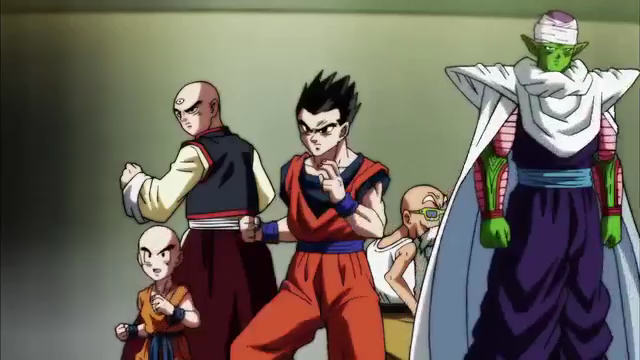 Below is the trailer for next week’s episode and gives a sneak peak into what looks to be Goku and Vegeta vs all the entrants from Universe 9, which looks to once again force the Z fighters backs against the wall and results in Goku and Vegeta turning into to Super Saiyan’s to survive the onslaught from Universe 9. 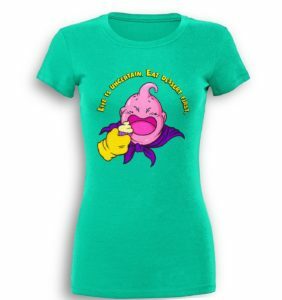 If you love a bit of Dragon Ball check out our latest range of Dragon Ball products!!!!!! In 2015, we have been drip-fed a wild array of sound-bytes, half-quotes and teaser articles about the Alien series of movies, Prometheus prequel trilogy, and possible future instalments. At times it has been hard to keep up, and so we thought we’d take a look at the history of the franchise in order to put some of the comments in context and try to make some sort of sense from the assortment of recent news articles. Fans of the Alien franchise have had a bumpy journey since the release of Ridley Scott’s original suspense-horror-sci-fi movie Alien in 1979. James Cameron’s action flick sequel, Aliens, which came seven years later, was quite a departure from the feel of the original, yet had so many merits, both as a standalone movie and as an extension of the storyline, that it expanded the franchise without alienating existing fans (no pun intended). The Alien series had become one of the very few movie franchises ever created from which genuine debates could happen over which of the movies was the “better” of the two. In 1992, a further six years later, David Fincher’s third installment, Alien3 was destined to split opinion. Returning to the suspense and defenseless hopelessness of the original Alien movie, and even filming outdoor portions of the movie on the beaches of Seaham in Ridley Scott’s native north-east England, Alien3 was a clear hat-tip to Scott, and a roadsign for further additions to the franchise that the series was about suspense, horror and sci-fi, and that any resemblance Aliens had to an action movie was purely circumstantial in the grand scheme of things. While the theatrical release of Alien3 was almost universally panned, even by Fincher himself who has disowned the movie, the 2003 “Assembly Cut” featuring more than 37 minutes of restored footage that was created without further involvement from Fincher, has gradually begun to win fans back since its inclusion on the 9-disc Alien Quadrilogy DVD box set. 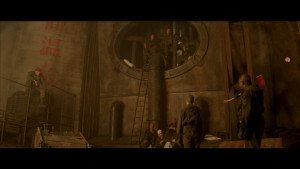 The “Assembly Cut” of Alien3 gained so much attention that the actors were invited back to rerecord the audio for the re-introduced scenes for the release of the Alien Anthology BluRay boxset in 2010. In the Quadrilogy box-set version of Assembly, the “new” scenes had noticeably poorer audio quality than the rest of the movie, having originally been cut from the theatrical release before ADR overdubs had even been recorded for those scenes. The fourth movie in the series, Alien: Resurrection, penned by Buffyverse/Firefly creator Joss Whedon and directed by Jean-Pierre “Delicatessen” Jeunet, was largely a disappointment to fans of the franchise, fans of Whedon, and fans of Jeunet alike. 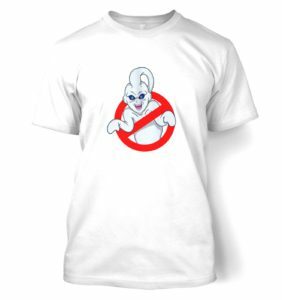 Although the box office takings remained as high as previous movies in the franchise (not taking inflation into account), Resurrection had been the most expensive movie in the series to produce to date, costing between $60m and $75m to make, and making around $160m from the box office. When it was announced that Ridley Scott himself would be returning to create a prequel trilogy, fans of the franchise rejoiced. Finally the series would be returned to the hands of the creator of the original vision, and we would see the worthy addition to the Alien franchise that many fans had been waiting for since 1979. If Alien was Aliens vs Space Truckers, Aliens was Aliens vs Space Marines, Alien3 was Aliens vs Convicts, and Alien: Resurrection was Aliens vs Firefly (5 years before Firefly existed), Prometheus was surely Aliens vs Idiots. Prometheus cost almost as much to make as the entire four-movie Alien franchise preceding it combined, and somehow, presumably riding the hype of Scott’s return to the series, it managed to take in over $400m at the box office despite the movie’s many flaws. When he began work on Prometheus, Scott had planned to make a trilogy of prequels to the franchise, which were intended to explain why the xenomorphs had been created, and who the “space-jockey” of the original Alien movie was. Earlier this year, while Ridley Scott was still working on The Martian, he revealed that Prometheus 2 would be the next movie in his schedule. Around the same time it was announced that District 9, Elysium, and Chappie creator, Neill Blomkamp would be directing a fifth installment of the original Alien series. Fans of the lucrative franchise would be treated to not one but two new additions to the Alien franchise within the next few years. The initial soundbytes from the Blomkamp camp that were reported in sensationalist pseudo-news blog articles around the world were that Blomkamp was planning to dismiss the third and fourth movies entirely to create a new “Alien 3”, a view seemingly reinforced by the announcements that Sigourney Weaver and Michael Biehn (Hicks in Aliens) had already been signed on to be in the movie. 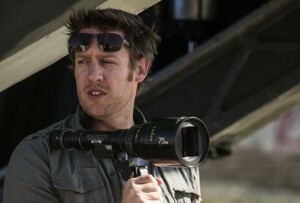 Even The Guardian reported that Blomkamp told them personally that he “would “categorically” rule out any return for the cloned version of Ripley, further hinting that the new film will ignore later Alien instalments”, but failed to provide an actual quote from Blomkamp to that effect, and failed to mention whether other cloned versions of Ripley might be a possibility now that he’d ruled out bringing back “the” cloned version from Alien: Resurrection. Shortly afterwards, in an interview with AlloCiné (YouTube video below), Blomkamp was quick to quash that line of thinking, stating “My favourites are the first two movies, so I wanna make a film that’s connected to Alien and Aliens – that’s my goal. I’m not trying to undo Alien 3 or Alien: Resurrection – I just want it to be connected to Alien 1 and 2″. Ridley Scott scored a direct hit on the jaw of the marketing machine earlier this month when his offhand comment about his overall plan to join together the Prometheus and Alien franchises went viral. Scott explained how the xenomorphs won’t appear in Prometheus 2, maybe not even in Prometheus 3, and that we may need to wait for Prometheus 4 to find out the answers to the questions he had intended to answer with the prequel “trilogy”. 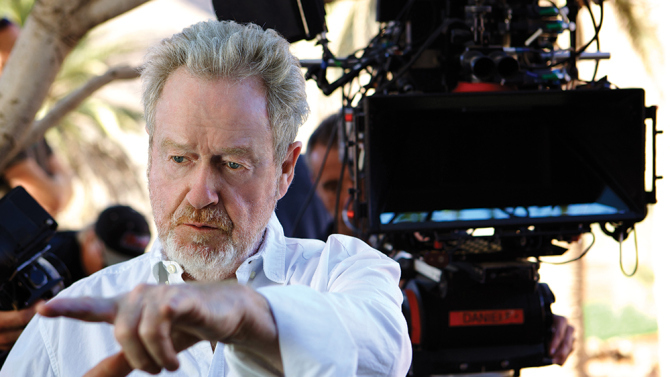 The next piece of news to surface was that Ridley Scott had revealed the name of the second Prometheus movie. The name is… “Alien: Paradise Lost“. Parallels between the first Prometheus movie and Milton’s Paradise Lost have long been reported and so the latter half of the title is little surprise, but to suddenly jettison the Prometheus name in order to make an Alien movie that won’t even contain xenomorphs seems like a radical sidestep to his original plan, particularly now that he seems to want to create three new movies to fit between Prometheus and Alien in the series. Given the scientific and behavioural criticisms of Prometheus, it would be easy to speculate that Ridley Scott had taken onboard the idea of distancing himself from certain movies in the franchise, and chosen the Alien branding for the next movie rather than the Prometheus name in order to win back fans of the original series who were less enthused by the first prequel. Next we heard from a number of news sources that Alien 5 had been put on hold, a rumour quickly stifled by Blompkamp himself, although with Scott being an executive producer on Alien 5, and director on Alien: Paradise Lost, it does seem feasible that Scott might want to concentrate on completing Alien: Paradise Lost before moving onto Alien 5. How durable are our Something Geeky gaming mats? 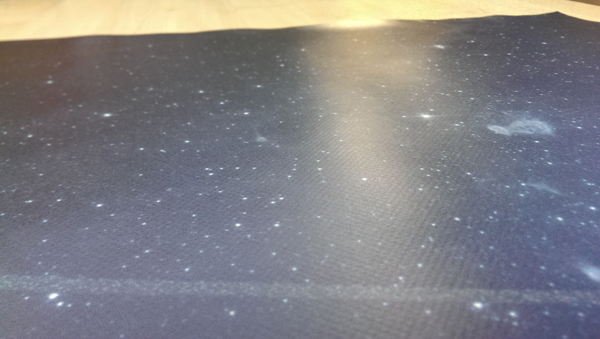 After we started making these space gaming mats, we wanted to perform an experiment to see how durable they are, and so we deliberately stored two of our 3×3 feet Asteroid Belt gaming mats “badly” to see how they fared. Instead of storing the gaming mats with the image facing outwards like we recommend, (so that when you unroll them, the natural curve is towards the table which helps it to grip the table), we rolled them up with the image on the inside (so that they would naturally curl away from the table when unrolled), and instead of allowing it the space to “breathe”, we rolled the gaming mats up as tightly as we could, put a couple of tight elastic bands around the middle of them. We then stacked a couple of boxes on top of the gaming mats as if they had been thrown into a wardrobe and forgotten, and left them there for around two months. When we eventually retrieved them, as predicted the gaming mats were naturally trying to roll themselves back up, due to the curve now being away from the table rather than towards it. In addition, the tight elastic bands and the addition of the stacked boxes on top had introduced grooves and slight scrunches into the shape of the material. 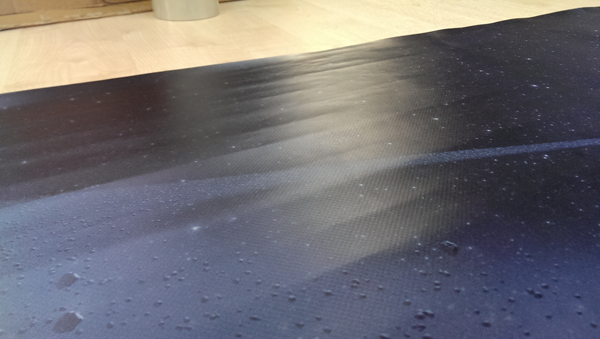 We then tightly rolled the gaming mats back up the correct way round, with the images on the outside, and squeezed them roughly up and down their length for a few minutes in an attempt to tease out the crinkles and get the mats curving back towards the table instead of away from it. After only a few minutes, the gaming mats were flat enough to be usable for a game, although it was still possible to see the wrinkles from where the boxes had been stacked on top of them and the scrunches around the middle where the elastic bands had been. We wondered whether it would be possible to get rid of the wrinkles from the gaming mat completely by ironing them out, and so we decided to give it a try. We didn’t have an iron in the factory unfortunately, so we decided to use one of our t-shirt presses that we use to cure the ink on our freshly-printed t-shirts. These presses are essentially a rectangular ironing board and iron in a single device, where both the iron and the ironing board are the same size and shape, with a lever that allows you to press the “iron” half down onto the “ironing board” half. 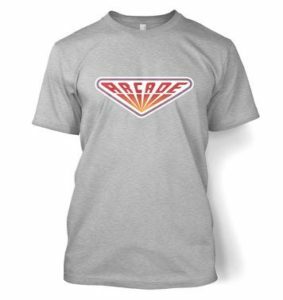 We laid a blank t-shirt down on the base of the press, then the gaming mat on top, and then another t-shirt on top of that, (because we were scared it might melt – these presses are HOT) and activated the press for about 10 seconds. When we retrieved the gaming mat, to our amazement the wrinkles had gone completely, and we were left with a pristine-looking mat. So, if you’ve stored your gaming mat badly and have found that it has unwanted wrinkles, this is the solution. 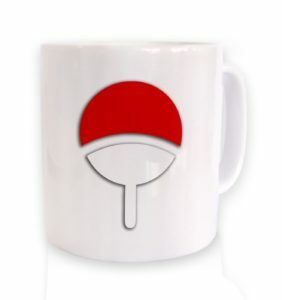 Iron it. 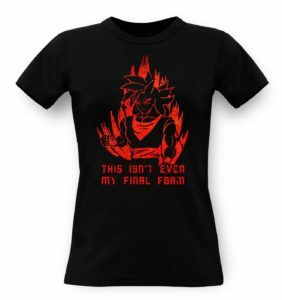 Be careful not to put too much heat into it, and we would recommend that you put old unwanted t-shirts or blankets under and on top of the gaming mat while you iron it so that if it did actually melt, it wouldn’t ruin the iron too. We probably wouldn’t recommend that you use towels for this protection, as the texture of the towel might transfer to the gaming mat when you iron it, but blankets or t-shirts should be fine. As you can see, the part that we pressed is now completely wrinkle-free and good as new! So in conclusion, don’t worry if your gaming mat gets wrinkled, as you’ll be able to iron it back into shape as long as you’re careful. 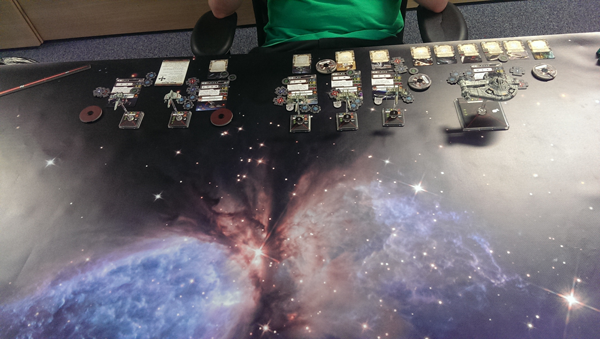 After hours at Something Geeky HQ, we like nothing better than to let off some steam by playing X-Wing on our very own space gaming mats. 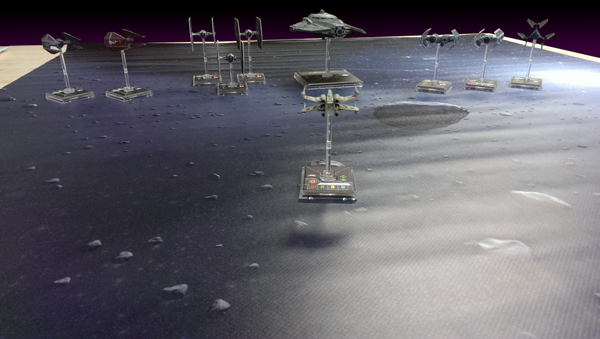 We’ve had a number of people contacting us asking for more photos of games of X-Wing actually being played on our space gaming mats, and so here are a few genuine shots of some of our games that we’ve played in the factory, along with a few staged photos of one of our first prototype mats that we stashed away “incorrectly” a few months ago to test the durability of the mat material. 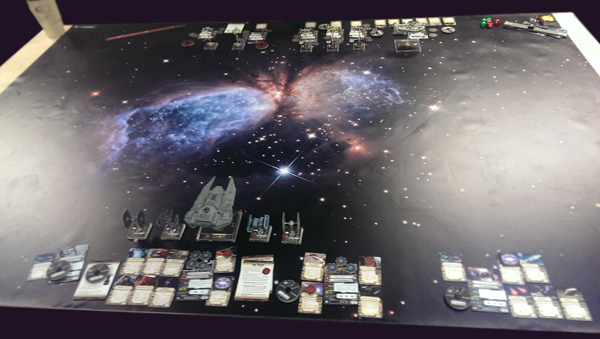 Not long after getting back from Games Expo 2015, I wanted to test out my new ships for X-Wing that I’d bought at the show, and so we decided to have a game one night on one of our enormous and spectacular 6×4 feet “Star Birth” space gaming mats (our usual mat of choice). 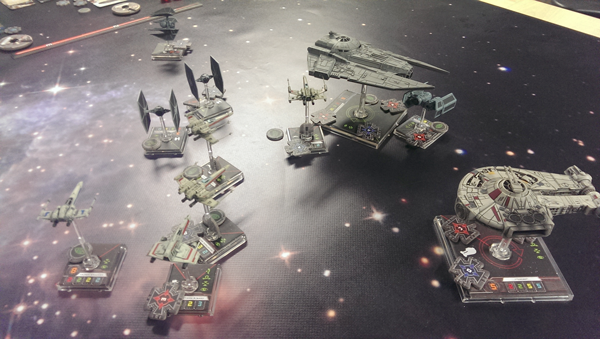 Unfortunately my colleague didn’t have his entire Rebel fleet with him, so we decided to go for a 200-point game, which he could just about manage to field. I had no idea what any of my new ships could do, so I decided I’d just take the most expensive options for all of the new ones and then use the rest of my points the best I could. 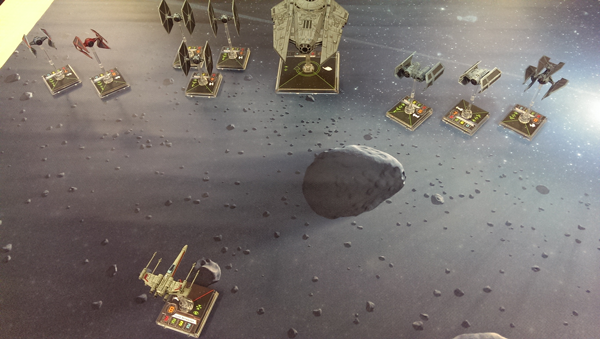 This tactic meant that I ended up with only a handful of ships for my 200 points: a Decimator, a TIE Bomber, a TIE Defender, and two TIE Fighters. 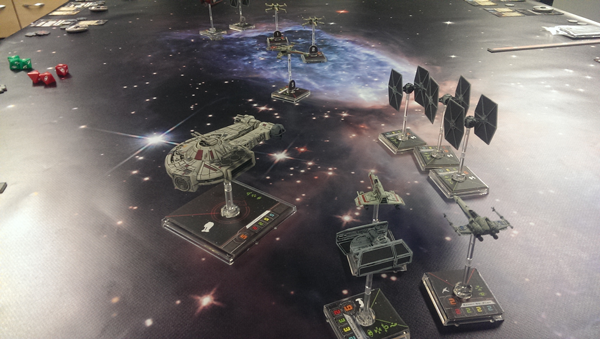 My colleague’s Rebel fleet on the other hand, was put together using a little more care and consideration than I had exercised, and so he was fielding a YT-2400 freighter, three X-Wings, a Z-95 Headhunter, and an E-Wing at the opposite side of the Star Birth space gaming mat. After reading that my Decimator had the ability to shield other friendly ships from enemy fire, I decided to begin with an “everybody hide behind the Decimator” tactic. Unfortunately for me, the Decimator was not nearly as robust as I’d hoped, and so this tactic achieved little other than to prevent my other ships from being involved in the fight until the Decimator was almost dead. Lessons learned: Don’t try to hide behind the Decimator from the word “go” – it’s a minor feature of an expensive ship, not a tactical lynchpin; also, don’t spend all your points on the most expensive pilots and skills available, or you’re likely to be outswarmed by an enemy that took a more conservative approach to points distribution per ship. Next time I’ll try the opposite approach, cheap as chips pilots and skills, and try to field as many ships as possible for the points, and go for the biggest swarm of ships I can field. 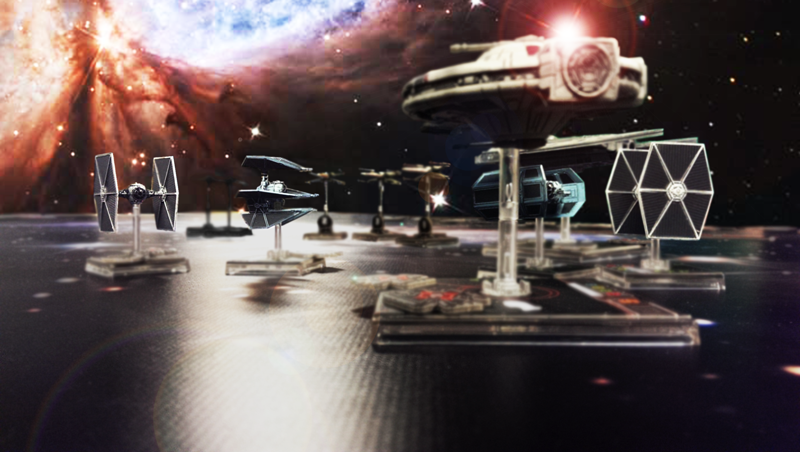 It definitely felt like I was closer to getting something out of the game the previous time we’d played at the factory on one of our space gaming mats, when I’d fielded four TIE Fighters, two TIE Interceptors and Darth Vader against a very similar Rebel fleet. Until next time, Rebel scum!